James Abbington is associate professor of church music and worship at Candler School of Theology, Emory University in Atlanta, GA. 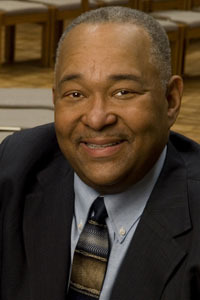 He is also the executive editor of the African American Church Music Series published by GIA Publications, Inc. of Chicago, IL, and has served as co-director of the annual Hampton University Ministers’ and Musicians’ Conference since 2000. James Abbington talked to the Calvin Institute of Christian Worship about his use of Psalms for All Seasons.